The Hall income tax is imposed only on individuals and other entities receiving interest from bonds and notes and dividends from stock who meet these requirements: A person whose legal domicile* is in Tennessee and whose taxable interest and dividend income exceeded $1,250 ($2,500 if married, filing jointly) during the tax year. A person who moved into or out of Tennessee during the year and whose taxable interest and dividend income during the period of Tennessee residency exceeded $1,250 ($2,500 if married, filing jointly). 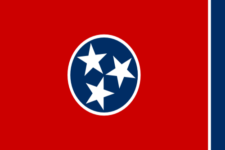 A person whose legal domicile* is in another state, but who maintained a residence in Tennessee for more than six months of the year and whose taxable interest and dividend income exceeded $1,250 ($2,500 if married, filing jointly). Military personnel and fulltime students having legal domicile in another state are not required to file. A person, bank, etc. acting as a Tennessee fiduciary (administrator, executor, guardian, trustee, or other acting in a similar capacity) A Tennessee partnership whose taxable interest and dividend income exceeded $1,250. The partnership is liable for the tax, if any. Tax Reminder works year round to keep official tax form info up-to-date for Tennessee and the rest of the USA. The IRS and states change their forms often, so we do the hard work for you of figuring out where the official form info is located. Never forget to file TN INC 250 again. Are we missing a Tennessee tax form?